Southampton’s Rose Bowl has a history of producing One Day International centurions so odds of 2.30 with Bwin that the series decider between England and Australia features at least one ton is the best bet available on the game. New Zealand opener Martin Guptill and England number three Jonathan Trott each scored a century in the last One Day International played at the Rose Bowl. Eight of the last nine One Day Internationals at the Southampton venue have seen at least one batsman reach triple figures and the overall ledger of nine games with a century and six without a century is somewhat skewed by the one-sided nature of the first few matches that Hampshire’s home hosted. For example, Bangladesh, Kenya, the United States of America and Zimbabwe took part in the first four One Day Internationals, with the minnows losing emphatically to some of cricket’s top teams. Before Guptill and Trott got in on the act, Hashim Amla (150 against England), Ian Bell (126 versus the West Indies), Eoin Morgan (107 not out against Pakistan), Morgan again (103 not out versus Australia), Cameron White (105 against England), Alistair Cook (102 versus India), Bell again (126 not out against India), Younis Khan (101 versus England) and Andrew Flintoff (104 versus Sri Lanka) had scored centuries in One Day Internationals at the Rose Bowl, while Chris Gayle had fallen only one run short against Bangladesh. The Rose Bowl’s statistics suggest that the likelihood of an England or Australia batsman scoring a century in the series decider is odds on, with nine out of 15 equating to 60 per cent or, in betting parlance, odds of around 1.66. England has not picked its strongest possible bowling line-up so that helps the highlighted play as well. One needs a bit of luck to score a century at the highest level but, purely from a numbers perspective, the odds of 2.30 are too big. 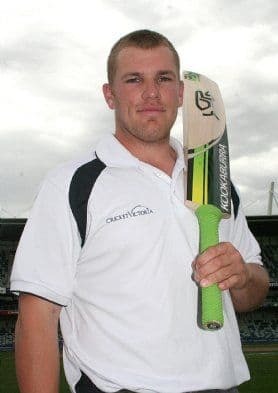 Sticking with batting exotics and Australia opener Aaron Finch is trading at odds of 2.25 with Ladbrokes to score one or more sixes in the Fifth One Day International. Finch was the star of the show when England and Australia met at the Rose Bowl last month, smashing 11 fours and 14 sixes in his record-breaking 156 that went a very long way to winning the First Twenty20 International for the Australians. A repeat of that incredible innings is highly unlikely but Finch has happy memories of the Rose Bowl – he has been talking up his chance of smashing England’s bowlers again – and he knows only one way to bat. If Finch sticks around for any length of time he is likely to hit someone for six or two. Finch has blasted eight sixes in his 11 One Day Internationals. Backing Australia to score more runs in its first 15 overs than England does in its equivalent period has paid off in both completed One Day Internationals, with the Australians winning the Second One Day International mini battle by 15 runs and the Fourth One Day International side show by 19 runs. Those results and the more aggressive attitude of the Australia side in general are sufficient to warrant backing the touring team at odds of 1.80 with Bet365 to be the more productive batting operation early on. Regarding to the outcome of the Fifth One Day International, Australia deserves to be the favourite at odds of 1.80 with several bookmakers but this is a game in which the exotics options are more appealing than the most basic one. It would go against the recent trend for the Ashes series loser to go down in the subsequent One Day International series so, if one likes following history, Australia is the match bet.